It was just before seven, on a somewhat bleak Monday morning, when Marjorie Coughlin stepped off the elevator onto the sixth floor of one of Boston’s most prominent hospitals. She was there at the behest of her physician, who had convened a conference about her current health crisis. Marjorie had also been informed that, as, after this meeting, they were likely to do a surgical biopsy, she shouldn’t have anything to eat or drink after midnight. Feeling some trepidation, and holding the small paper, upon which, she had jotted the building address, floor, and room number, Marjorie made her way down a long dark hallway. Looking at the room numbers as she passed them, she finally came to room six twenty-one, and slowly opened the door. The room was empty, which caused her to glance, once again, at the number on the door, to be sure that she was in the right place. She was, and tentatively took a seat at the oval, brown laminate, conference table. A few moments later, a group of men, none of whom she recognized, entered the room, engrossed in conversation. As they took their seats, each gave her a cursory greeting. She felt small, and vulnerable. At five feet four, she was dwarfed by them physically, and, since, to some extent, they held her fate in their hands, they were emotionally overpowering, as well. In spite of having four children, and a devoted husband, she had elected to attend this meeting by herself. There were a number of reasons that Marjorie hadn’t told her family about the gravity of what she, rightly assumed, was about to hear, but the overriding one was, she simply didn’t require, or want, any hand holding. She would, as much as was possible, handle what came her way, on her own terms, without any undue drama. Because of the formality of this meeting, she had worn her favorite dress. It complimented her slim figure, and had the added benefit of lifting her spirits. Her overall appearance was attractive and stylish, with her blond hair in a chic short cut, and her minimal makeup applied to perfection. Finally, a doctor she knew, and considered, if not a friend, at least a friendly acquaintance, of sorts, came in the door and smiled. That was a relief, at least now she knew, for sure, that she was in the right place. Dr. Thomas Mayer, the head of plastic and reconstructive surgery, introduced the heads of oncology, radiology, pathology, and dermatology. She noticed that her own dermatologist, Dr. Claire McCabe, was among the missing, but since Marjorie didn’t really think much of that particular physician, her absence was of no great consequence. Her manner was, as almost always, cheery, which somewhat belied her striking intellect. 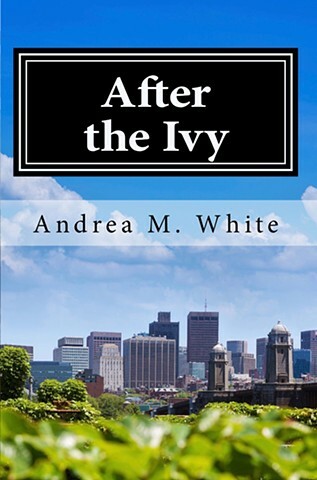 She completely grasped the seriousness of the matter, and was not unaware that, while there was little question that the doctors in this room had her best interests at heart, the hospital, itself, had an agenda. The dermatologists who’d treated her over the years had been negligent, and now the resulting surgery would disfigure her, and, in the end, either the disease itself, or the side effects of the subsequent treatment, would likely shorten her life. They were liable, they knew it, and so did Marjorie. So, much as she knew they might be trying to manipulate her, by convening this high powered group of physicians, she also knew that she needed the surgery. She was, however, comforted by the fact that there really was no better surgeon than Dr. Mayer. While the original plan for that morning had been for her to have a more minor surgical procedure, if she agreed, they had arranged for her to have the excision of the melanoma, and reconstructive surgery, that day. She agreed to the plan, and they handed Marjorie one volume of her extensive medical record, which was in a large white binder, and held the contents of innumerable appointments, procedures, and doctor’s notes, and sent her on her way. Walking down a back hallway that was generally only used for staff, Marjorie took note of her surroundings. Overall, the whole picture was gray. The carpet and walls were neutral, and a cold November rain was pelting the large windows that ran along the entire length of the hallway. Even though she was walking toward the operating room where she was about to have very serious surgery, Marjorie was calm, and in fairly good spirits. She would call her husband, who, thinking that she was only having another of the many biopsies she’d had over the past year, had dropped her off, and continued on his way to work. Marjorie wasn’t looking forward to making this call because, unlike her, he wanted the heads of the doctors, whose malpractice, had hurt his much loved wife. “Hey Margie, what’s up?” Bill Coughlin answered. “They’ve decided to do the excision today,” Marjorie said, deliberately trying to make the impending surgery sound as routine as possible. “Well, I care how I look,” Marjorie said, kind of laughing. In fact, the reason she knew Dr. Mayer was because in her fifty plus years, she’d had a number of small, strategic, surgical touchups. “You’ll always be the beautiful girl I married.” Bill said. Bill agreed, and Marjorie found the stairwell that would bring her to the surgical unit, four floors below. Once there, she handed over the weighty book to a clerk at the check-in desk, and began the pre-surgical process. A young nurse escorted her back to the changing room, took her clothing, and Marjorie donned the obligatory hospital issue pajamas, robe, and ankle socks. After which, she was sent back out to the pre-op waiting area. She had thought the surgery would be within an hour or so, but found herself waiting for hours, and was getting fatigued, very hungry, and beginning to become somewhat irritated. Understandable, as they’d summoned her to a seven a.m. meeting, and it was now coming to eleven. Marjorie thought that a change of scenery might do her some good, and since she hadn’t yet been hooked up to an IV, as long as she notified the desk personnel, she was pretty much free to roam around, as she pleased. She walked out of the surgical waiting room, and stood on a balcony that overlooked the first floor. Out of the blue, she heard two loud bangs. They sounded like they could have been shots, although likely at some distance. Then, moments later, Marjorie saw hundreds of people below her, running toward the back of the massive building, and, in short order, she heard multiple sirens. There were, of course, always sirens at the hospital, but there was no question that something out of the ordinary was going on. Marjorie was curious, and, while she hoped that no one had been hurt, she was actually kind of happy to have the distraction.